GenPro offers current products by Briggs & Stratton Home Standby, GE Power Systems, Generac, Pramac, Powermate, Winco, and Powerdak Automatic Transfer Switch. Products new and used available are Asco, GE, Zenith, Generac, and Onan. Engines by Briggs & Stratton, Doosan, Generac, Honda, Subaru, Isuzu, John Deere, Yamaha, MTU, and others are serviced. GenPro offers all aspects of power generators for standby, prime, and back-up power production. GenPro has one of the most comprehensive listings of new and used Industrial Standby Generators and Residential Home Standby Generators including Used Diesel Standby Generators and Natural Gas Power Generation products anywhere. CHECK OUT OUR IMPROVED PARTS SECTION! MANY NEW PARTS ADDED! 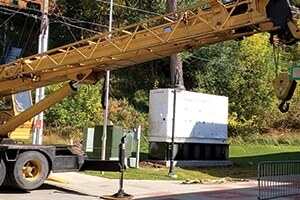 Selecting a contractor to incorporate your emergency backup generator can be a challenging quest. The typical go to market approach for generator manufacturers is to sell through Electrical Contractors due to the lack of specialized power generation specialists. For most, this leaves options very limited when trying to find a qualified installer. GenPro’s experience is rooted in the power generation market and our specialist has a fundamental understanding of how to develop and employ the right emergency backup solution for your specific application. Our staff will meet with you to develop a comprehensive yet simplified approach to making sure your home or business is truly ready to endure the worst that mother nature might throw at you. 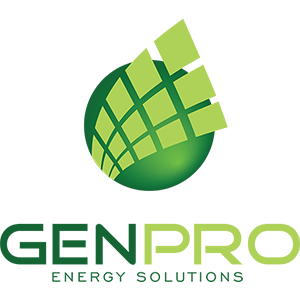 If you are interested in a Hybrid system, GenPro can offer you an advanced power system that incorporates the latest in renewable technologies along with a traditional standby generator. With certified electricians and power design specialists focused on every detail of your requirements, you can have full confidence in the “GenPro Guarantee” – If GenPro does it, it’s going to work!